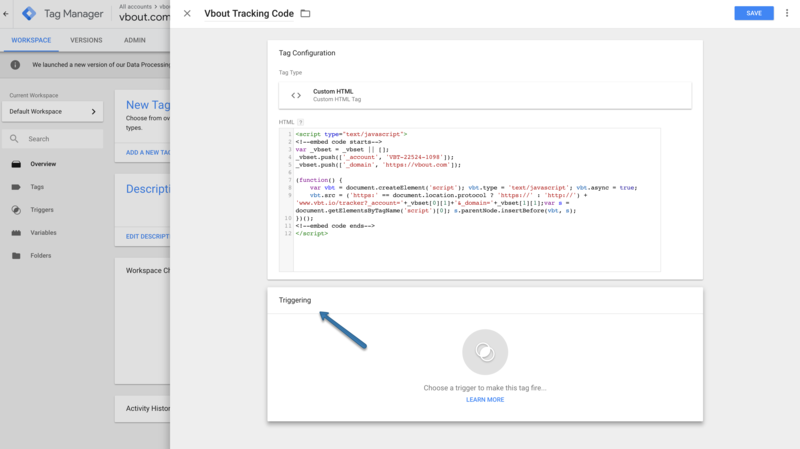 You can add your Site Tracking Code in your Google Tag Manager by following the instructions below. 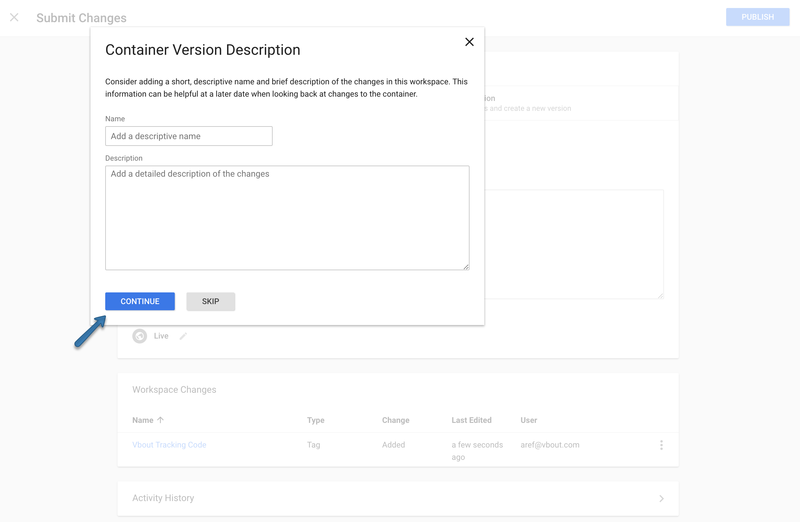 Open your GTM account and choose the website you want to set up the Tracking Code on. 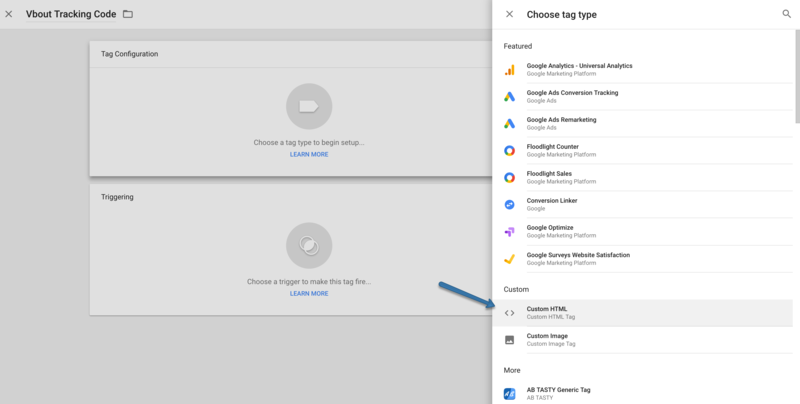 Choose a name for the tag and click on Tag Configuration. 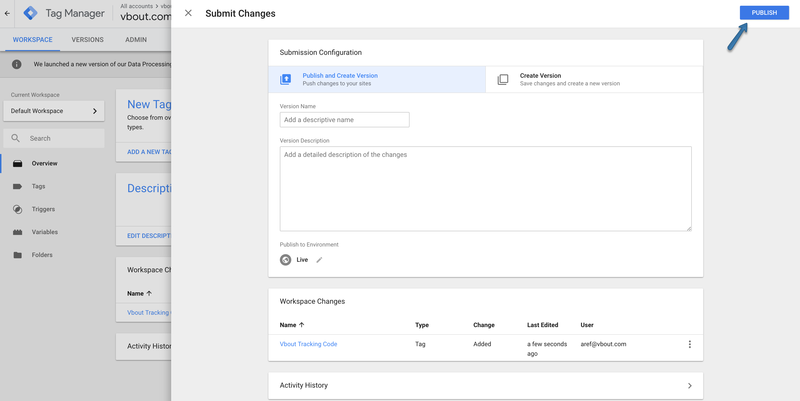 Go to VBOUT, and Toggle “Using Google Tag Manager?” on, then click on Submit. After that, click on Show Embed Code. 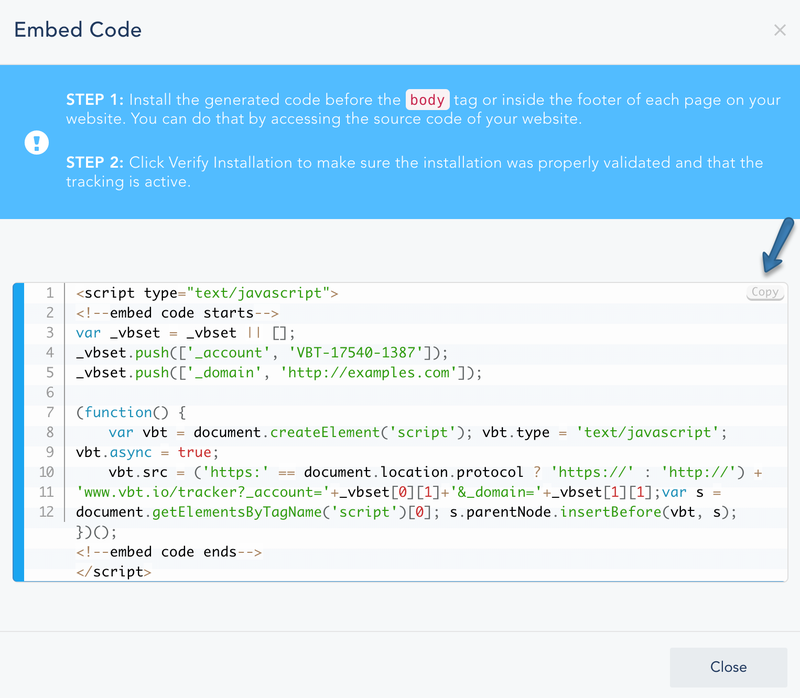 And copy the Site Tracking Code. 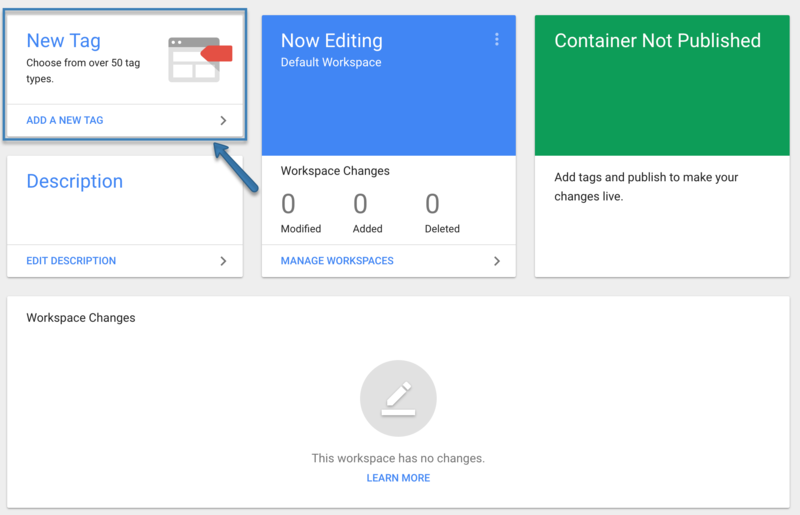 Then go back to GTM and Paste your Site Tracking Code. Then Submit, Publish and Continue. Now to make sure that the tracker is working, you can open your website, go to inspect element, then network, and search “tracker”. You will find our tracker in the results.